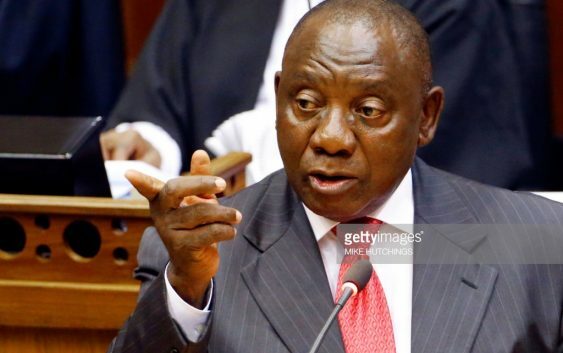 This angry response by Ramaphosa was a result of Trump;s earlier tweeted this week where he reportedly stated hat he wanted his secretary of state to investigate land expropriation without compensation in South Africa after FOX News, reportedly incorrectly reported that South African law had already been changed to allow the South African government to take land from white farmers without compensation and that government was doing so amid the “large-scale killing” of white farmers. Ramaphosa, is said to have stated this, while addressing a biodiversity conference function in Ha-Matsila village in Limpopo this weekend . Ramaphosa, in an SABC News clip stated : “Donald Trump must leave us alone. When we were facing apartheid, when we were facing oppression … he was not here. He did not fight side by side with us. And we were able, on our own – yes, with support of progressive forces in the world – to resolve the apartheid question. “As far as I recall, Donald Trump was not around at the negotiating table when we negotiated the end of apartheid. So stick around there in the White House. We will do our business here. And we will find solutions for our problems. “I don’t know what Donald Trump has to do with South African land because he has never been here and he must keep his America; we will keep our South Africa; that is what he must do. South Africa is our land. It is clear that the issue of land to the indigenous black people, is at the core of the hearts of many blacks, who feel they are victims of colonisation, where they were forced off and killed for their fertile land by the settler , racist white regimes, which led to whites owning vast stretches of good farmland in good rainfall areas while blacks in their own motherlands were forced onto congested poor rainfall, poor soil areas, in rural areas or tribal trust lands.